You can find a large variety of dairy produce at Apple Market. 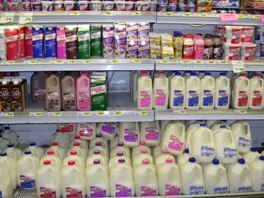 Milk, butter, cheese, yogurt, half and half, cream cheese, and much more are available to satisfy your dairy needs. We also look to meet individual needs as well which is why we carry options such as soy milk and other lactose free products. 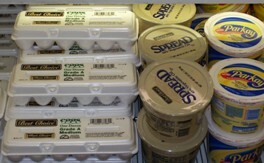 You’ll also come to find eggs, orange juice, refrigerated biscuits, cookie dough, pudding, and much more in this section. Apple Market has a wide variety of frozen foods to satisfy your morning, noon, and night needs. Choose from entrees, dinners, and pot pies. 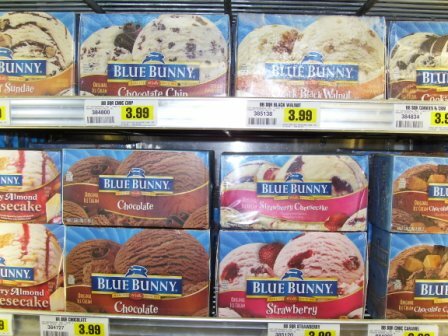 You can also find frozen chicken, vegetables, pizzas, ice cream, and frozen desserts to please your cravings. © 2008 Salisbury Foods Inc.